We all love coffee for its well-known benefits. We enjoy a cup of coffee in the morning because it helps us feel full of life, right? But did you know that there are a lot of people that actually drink coffee for its taste? They don’t what to benefit from it, but only have a taste of the freshly brewed product. That is why they prefer decaffeinated coffee. Moreover, there are other individuals that are not allowed to drink any sort of caffeine product because of some health issues they have. So, in this article, we will talk about coffee that doesn’t have caffeine in it – how it’s made, why people prefer it and if it’s better for your body than regular coffee. According to Wikipedia, coffee becomes decaf when the actual caffeine-containing products such as coffee beans or cocoa are completely removed so that it only remains a percentage that sometimes can get close to 5%. Decaffeinated coffee was actually discovered by accident. Ludwig Roselius, who was then a coffee merchant, ordered a shipment of coffee beans that actually came soaked in water. He then started to roast the beans and practically “discovered” coffee that did not have any actual caffeine. 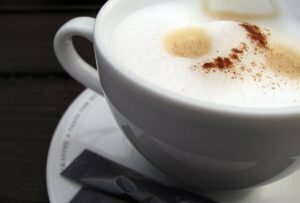 Caffeine can be removed by using various techniques and it actually depends on the product. For instance, for coffee beans, there can be used a solvent that removes the caffeine. The beans have to sit for a specific period of time in the solvent after everything is removed and the further preparation continues as with normal coffee. There are two other methods that are actually considered much safer versions, as using solvent might be a little too chemical and cause some health risks. The other techniques are using CO2 (liquid carbon dioxide) and the other one is using water. The last technique mentioned is pretty much the preferred one, as it keeps a lot of the flavor and the initial taste. Although the taste might not be as rich as with a regular cup of coffee, the benefits are the same. Decaf coffee is rich in its antioxidants and it’s really helpful for the body. It helps in preventing certain diseases, like cancer or heart diseases alongside diabetes. Moreover, certain studies like the one published in 2008 in the Annals of Internal Medicine showed that the consumption of regular and decaf coffee actually reduces the risk of various health problems. A lot of people believe that if you drink coffee, you develop certain health issues that might cause a sudden death, but that isn’t the case, as coffee has many health benefits, like the ones mentioned above. Keep in mind that everyone’s body is completely different and something that fully works for others might not work for you and that is the reason why you have to do to your own research and test to see the best alternative you can find. Is It Really Caffeine Free? There have been a lot of speculations over the years about the fact that decaf coffee is not actually caffeine-free because it can have close to 40% of the caffeine that is not actually removed. However, there are international standards that have to be followed and most of the times, caffeine is removed almost completely. For instance, the USA requires for the beans and final product to be completely decaf (not lower than 98%) in order to be labeled as a “decaffeinated product”. Some other countries do not have that strict regulation and the percentage can be close to 80%. You need to check the product before purchasing it and be sure of what you’re buying because different coffee types might have various amounts of caffeine. “Decaffeinated” coffee is not always 100% free of caffeine. It’s safe to say that coffee is actually good for your body, no matter the type you choose to drink. It’s well-known and has been proved that it can help in solving some health conditions and can actually make your immunity stronger. However, if you don’t enjoy regular coffee or if it gives you some side effects such as migraines, stomach aches or insomnia, decaf coffee is a perfect alternative for you to try!